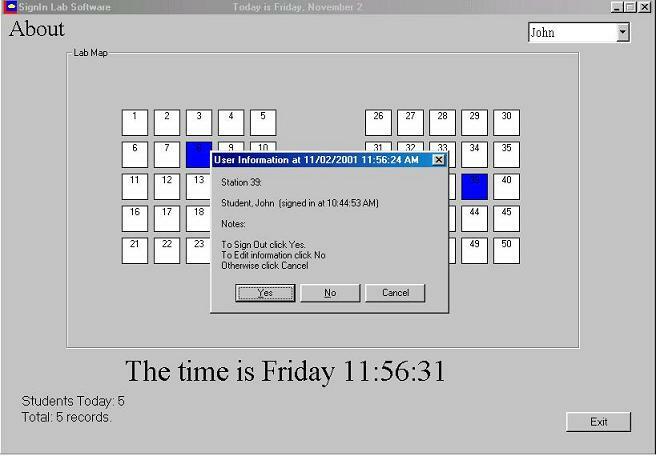 The main screen of SignIn allows to click on each seat and sign a person in. Once signed in, the seat is blue and can be edited or signed out. 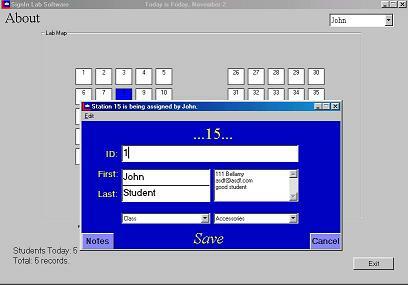 Sign out Screen: shows after clicking on a blue, assigned seat. Clicking Yes will sign out the customer, No will provide an edit screen. Manager Program: This program will be in your Start->Programs->Lab Software menu. 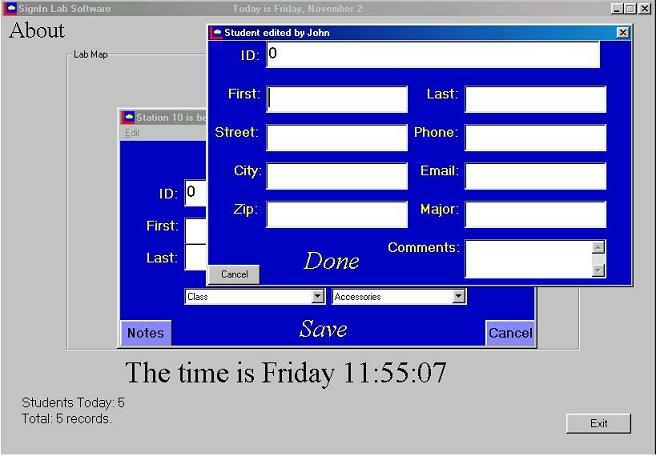 It allows to edit names of staff, classes, accessories. Also you can customize the number of workstations and the map of your room. 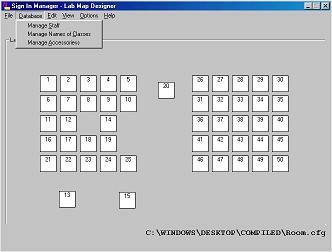 You can save multiple rooms but the name Room.cfg will be the current room on a workstation.